The four zones, outlined here, mirror U.S. Census tracts; they were selected on the basis of poverty rate, family income, unemployment and other factors, the release explains. 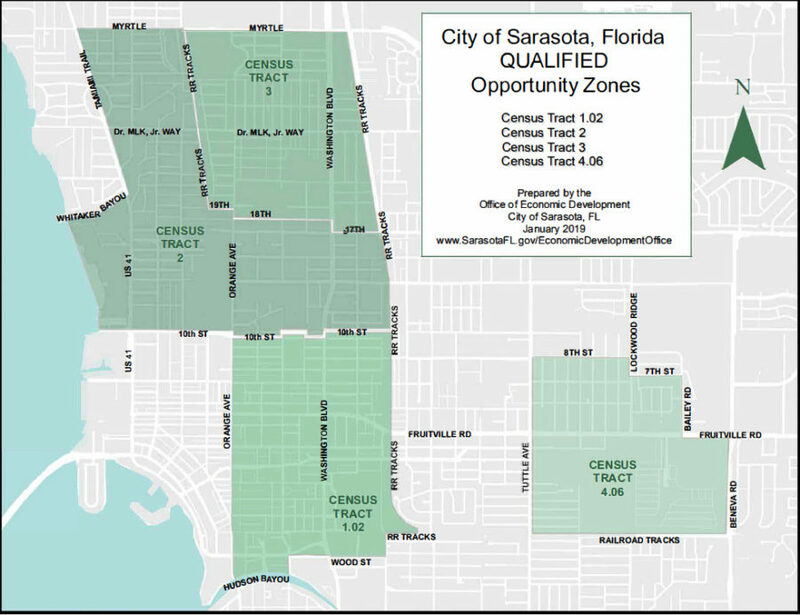 City staff identified and recommended six Census tracts in the city limits for consideration by former Florida Gov. Rick Scott, the release points out. About 8,700 Census tracts around the country qualified, the release says.